Which HomePod would you pick? Apple’s new HomePod is flying off shelves with shipping times already slipping, but some Apple fans are already dreaming up what the next generation HomePod will look like. 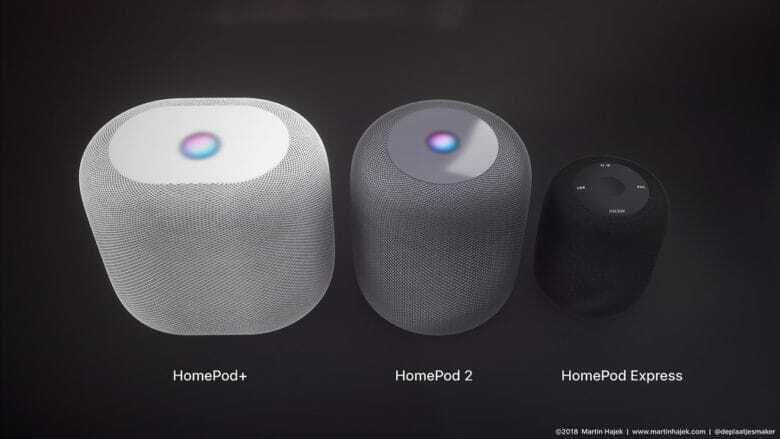 Concept designer Martin Hajek published a beautiful new set of renders that imagine what HomePod might look like if Apple expands the product category to include larger and smaller versions of the HomePod just like with the iPhone. One of the mockups even brings back the iPod’s iconic click wheel. A portable HomePod would be great. Hajek is hoping that Apple comes out with three new HomePods in the future. 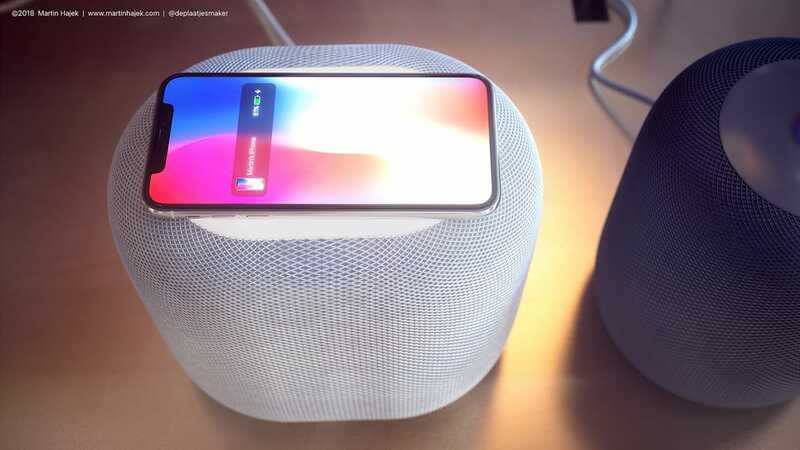 The HomePod 2 would be just like the current HomePod, only with better Siri integration and new colors. 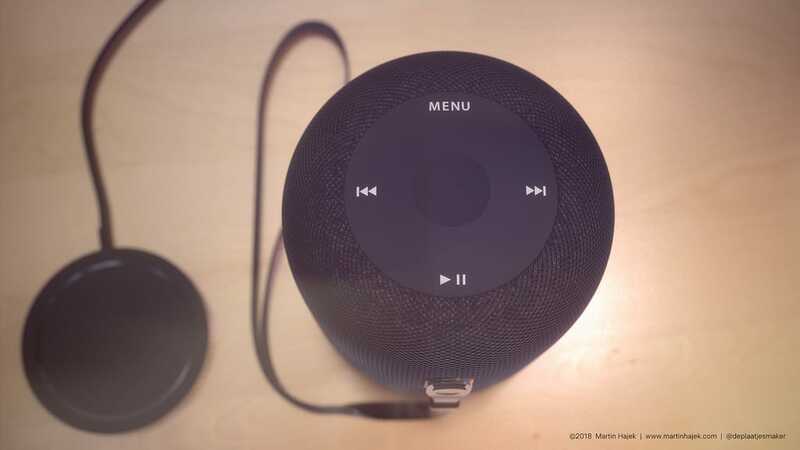 The HomePod Express (pictured above) would be portable with a built-in battery that can be charged wirelessly. It’s also waterproof and as small as a can of soda. To make the HomePod Express more affordable, Apple could slap a click wheel on the top for controls and ditch the Siri integration. Basically, it’d be just like all the other Bluetooth speakers on the market, only made by Apple. Wireless charging would make a great addition to HomePod. HomePod+ is another interesting idea from Hajek. It would be twice the size of the HomePod for more bass blasting action. Built-in wireless charging on top of the speaker would allow you to juice up your iPhone or Apple Watch while listening to music. And it would pack a 3.5mm audio in port and LAN connectivity.